from Jerusalem to Ramallah, but not to worry, that distance is very short. Italian Prime Minister Enrico Letta was around this week also. We did not hear that either man had time for leisure or culture while in Jerusalem. 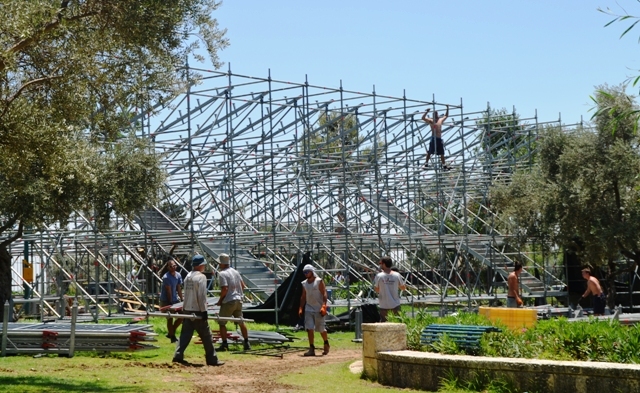 that the viewing stands of the Jerusalem Formula Peace Road Show were coming down? what a noisy event that was! School is out for the long summer holiday. 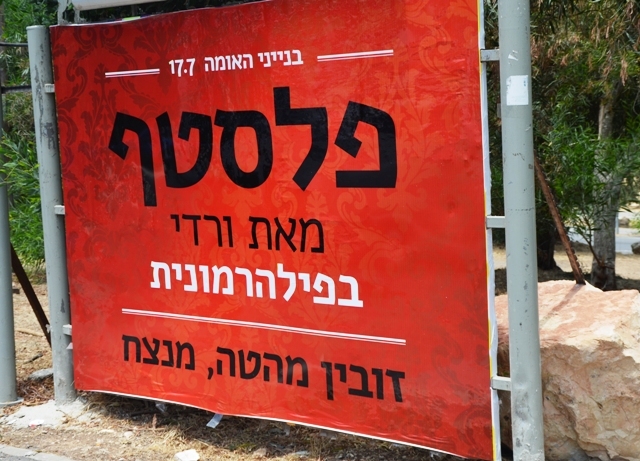 So what is happening next on the streets of Jerusalem, Israel? 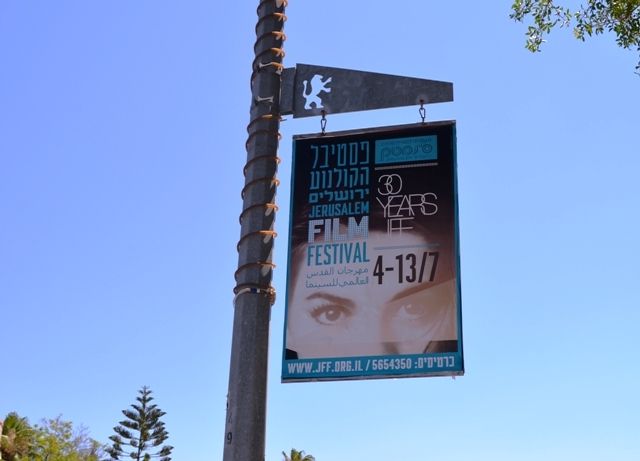 The 30th Jerusalem Film Festival is to open this week. next year it is to be in May so take note and mark your calendars now. where some events are held in private homes. 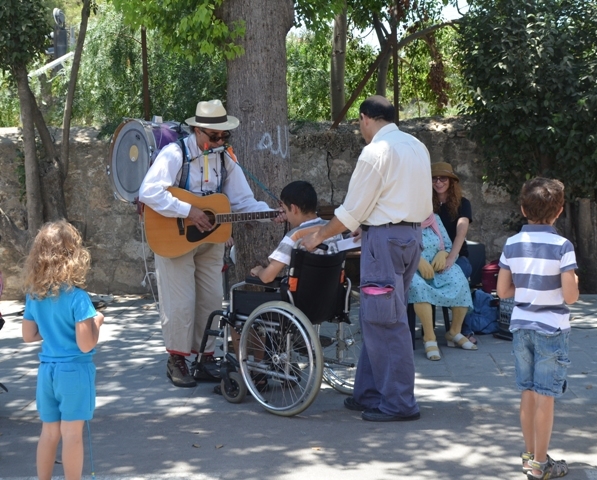 that not only children stopped to respond to their street performance. just another of many performances in this new tourist spot. 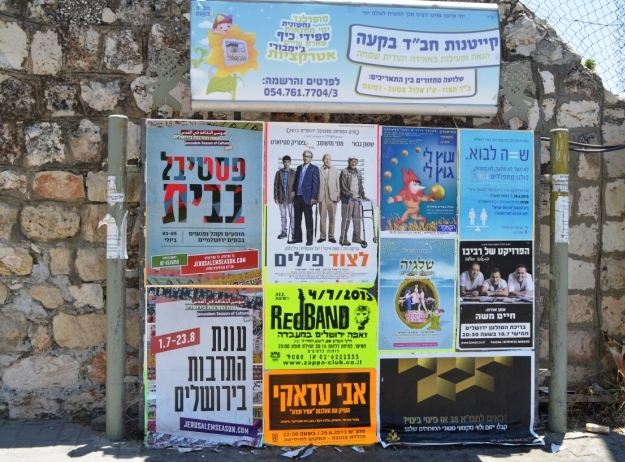 Of course, the Jerusalem Theater is a constant venue of cultural performances. But also the lobbies of the theater are used to showcase local artists. and this week, I knew two of the artists. 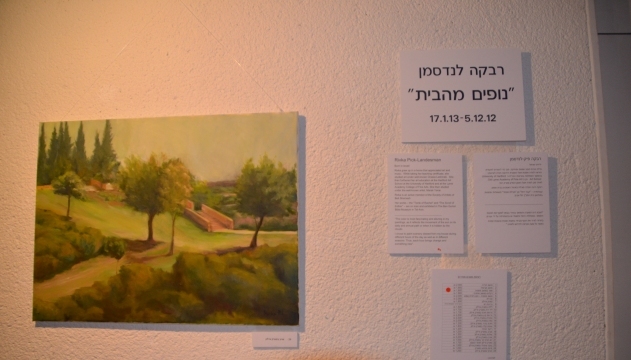 and Shoshana Meerkin, a favorite watercolor artist, had their work showcased. will be performed at the Jerusalem International Convention Center. And these are just a few examples of what is really happening in Jerusalem. I don’t think it’s funny to make fun of bubbies. 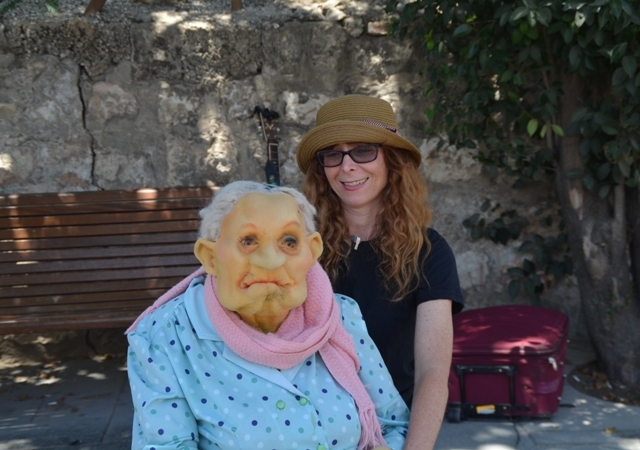 Never make fun of Bubbies, the stranger stopped to talk to her, even though she was a dummy!